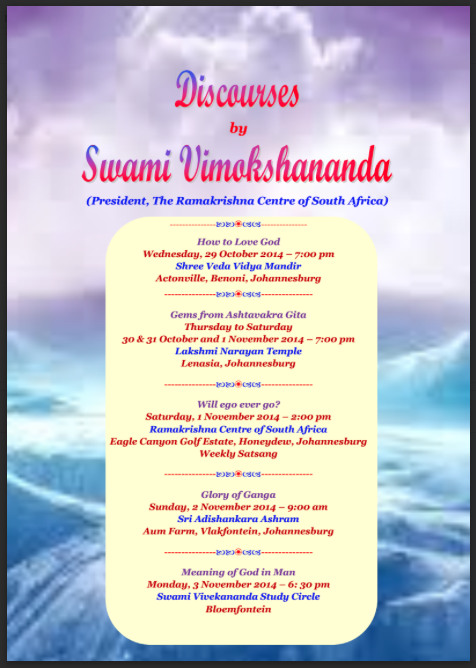 For those of us not in Johannesburg please provide us with a copy or recording of the talks. So thrilled to read the programme of your discourses. So fortunate are the devotees at Lenasia to listen the Ashtavakra Gita. I wish I was in your audience.